Our goal is to build the bridge between traditional automotive electronics and the new developments in vehicle electrification and digitalization as well as those from the world of consumer electronics and the Internet of Things. This is a major opportunity to understand how the automotive business will evolve over the next five years, with a focus on products and services that are likely to transition from other markets into use-cases for automotive. 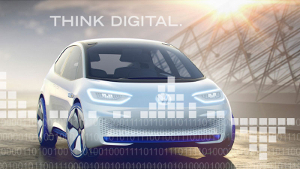 The electronica Automotive Conference is a platform where the automotive industry's experts and decision-makers from Germany and abroad can gather information and exchange ideas about significant technology trends and strategies in the international automotive industry. Modern cars have become complex digital devices and automotive Cyber Security is one of the most important issues. Therefore, the overall goal and objective of escar is to provide a forum for collaboration among private industry, academia, and government regarding modern in-vehicle Cyber Security threats, vulnerabilities, and risk mitigation/countermeasures. Escar offers an opportunity for information exchange, networking and is a platform to define research needs. International and high-quality speakers give recent insights and encourage discussions. Join the most innovative minds in connected cars, mobility & autonomous vehicles for two days of in-depth insights, disruptive tech and unmissable networking. Trusted by industry leaders for the past 16 years.